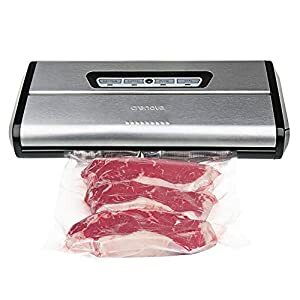 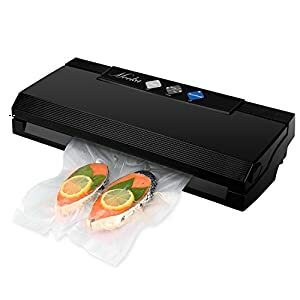 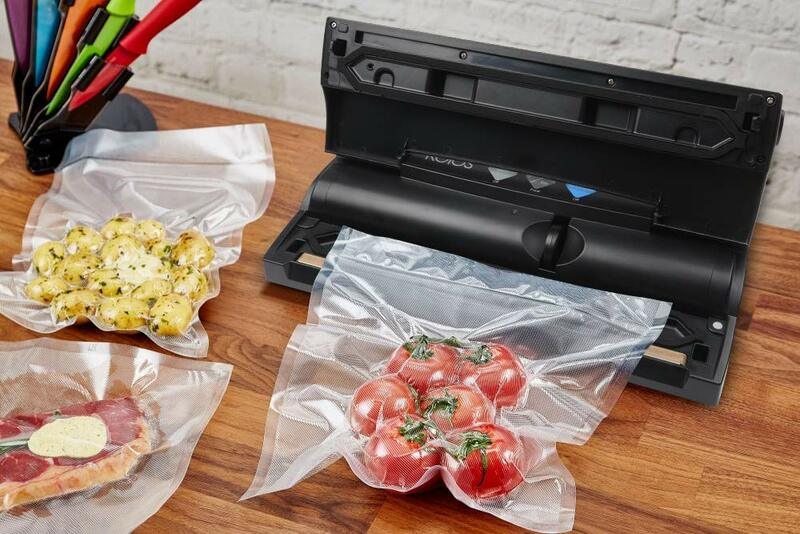 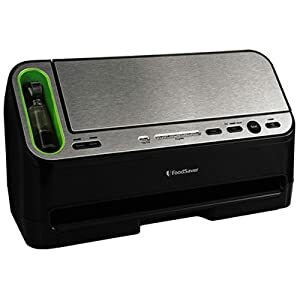 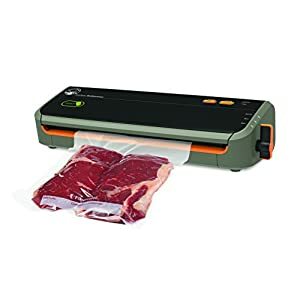 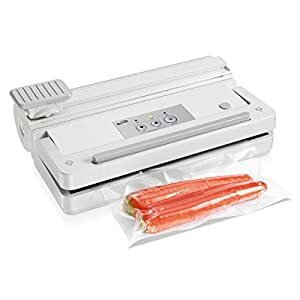 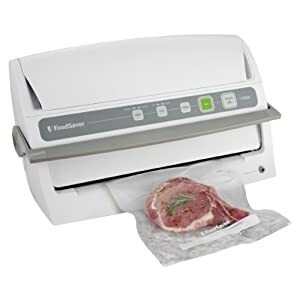 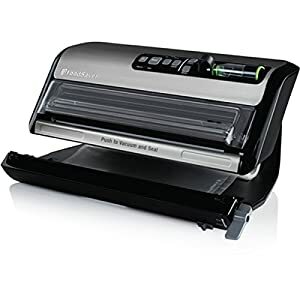 .Preserve food and wine with vacuum sealing.
. Cook food in advance then vacuum seal individual portions or entire meals for later consumption.
. A Much Needed Assistant for Sous-vide cooking.
. 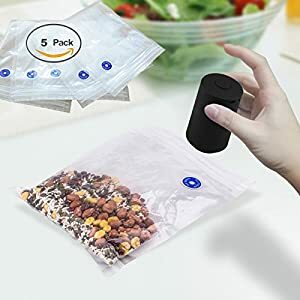 Maintain the freshness of dry foods such as beans, nuts, and cereals.
. Package foods such as meat, fish, poultry, seafood and vegetables for refrigerated storage.
. 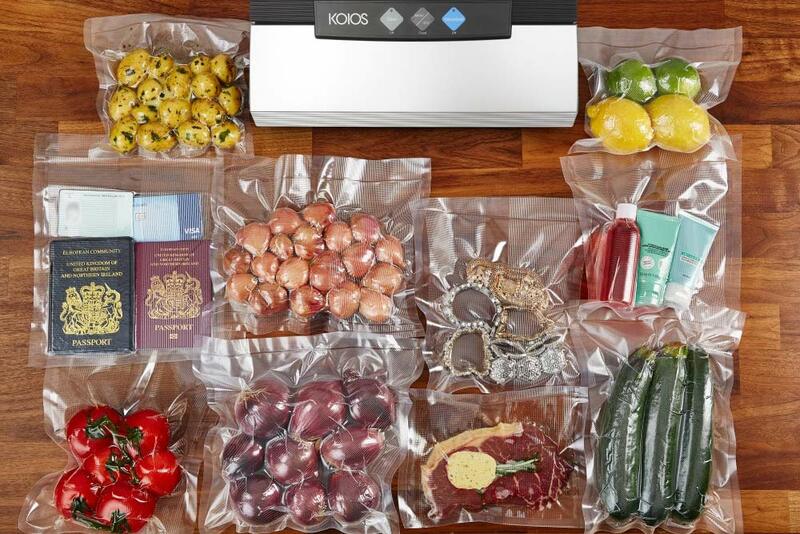 Prepare foods in advance for picnics, camping trips and barbecues. 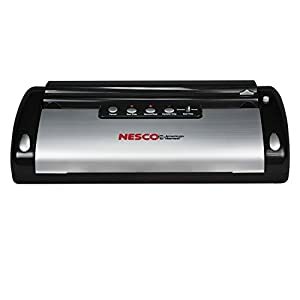 Easy Latch & Lock Operation. 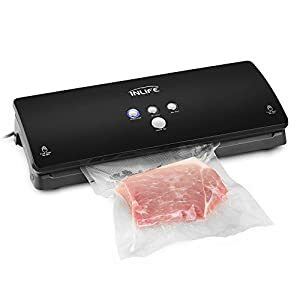 Place filled bag into vacuum sealing channel and close easy latch bar. 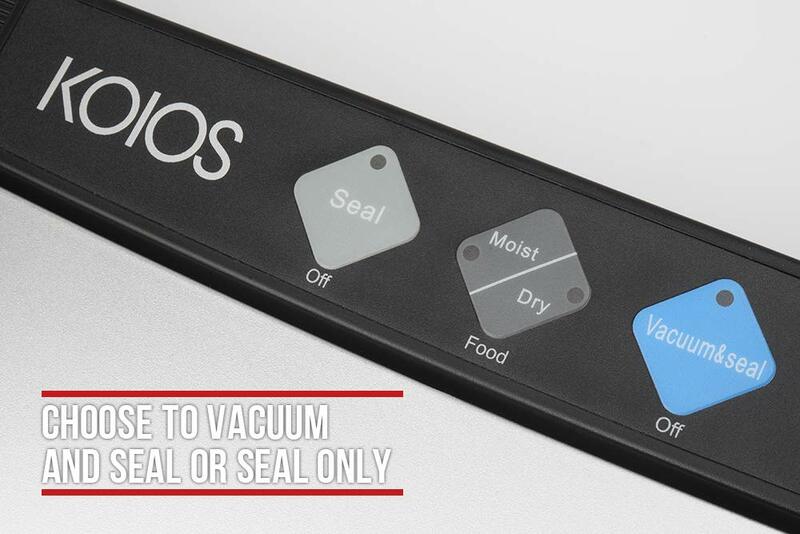 After the vacuum noise finished, wait for another 5 seconds to seal until the direction light off, it will be done. 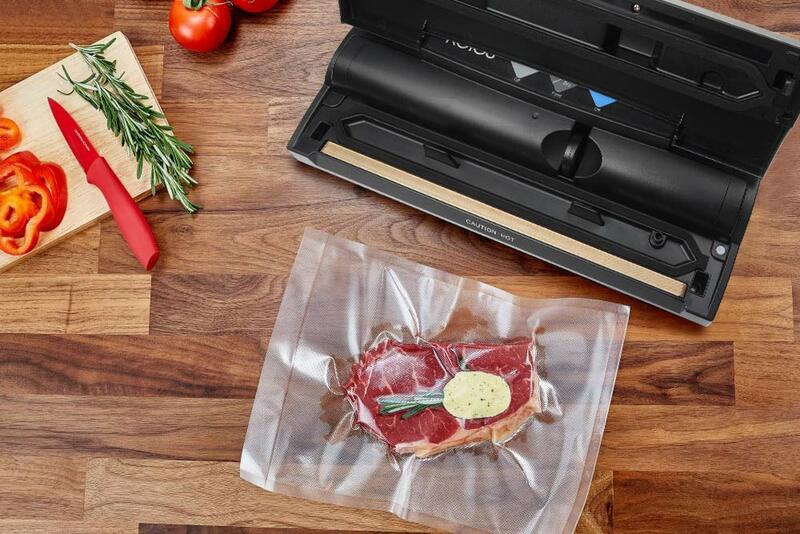 Built-in cutter easily creates custom-sized bags. 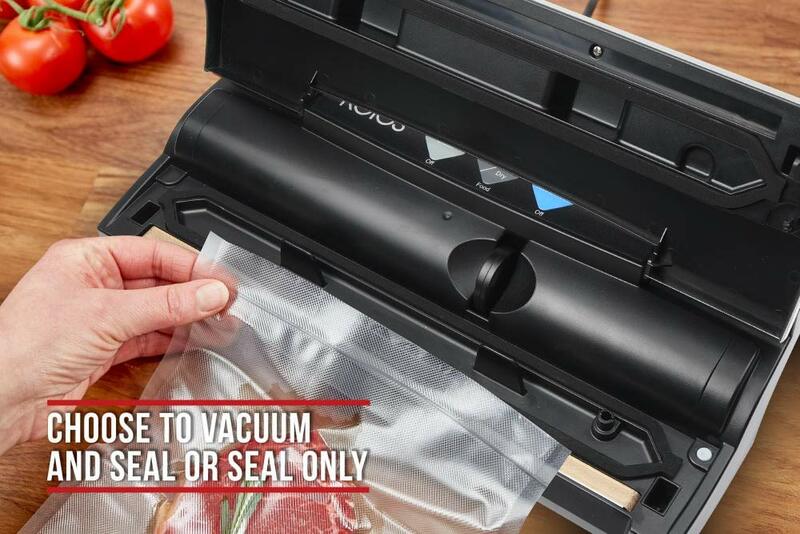 Reduced Bag Waste, to get the most of your vacuum-seal roll. 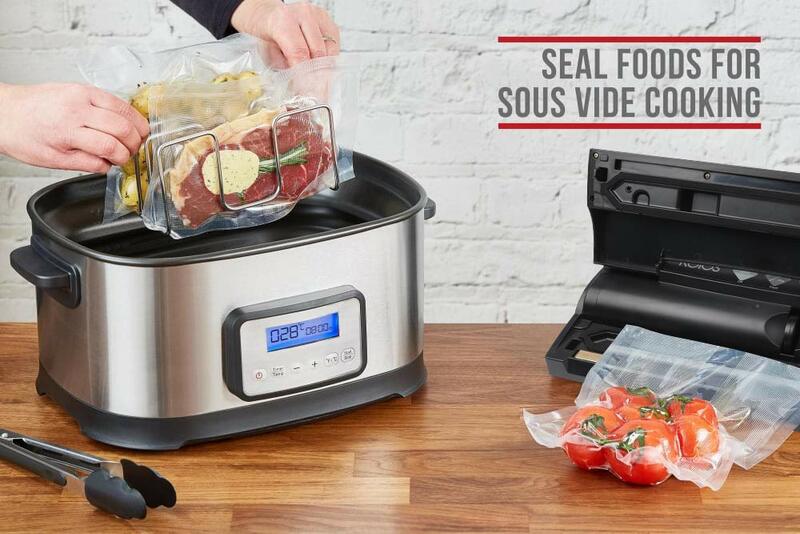 Heavy-duty performance to process faster with up to 30 consecutive seals. 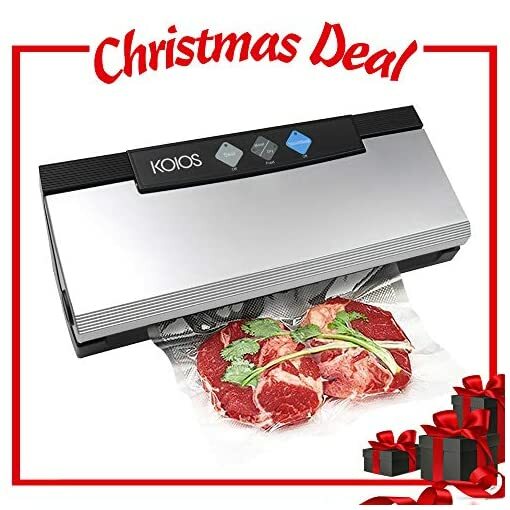 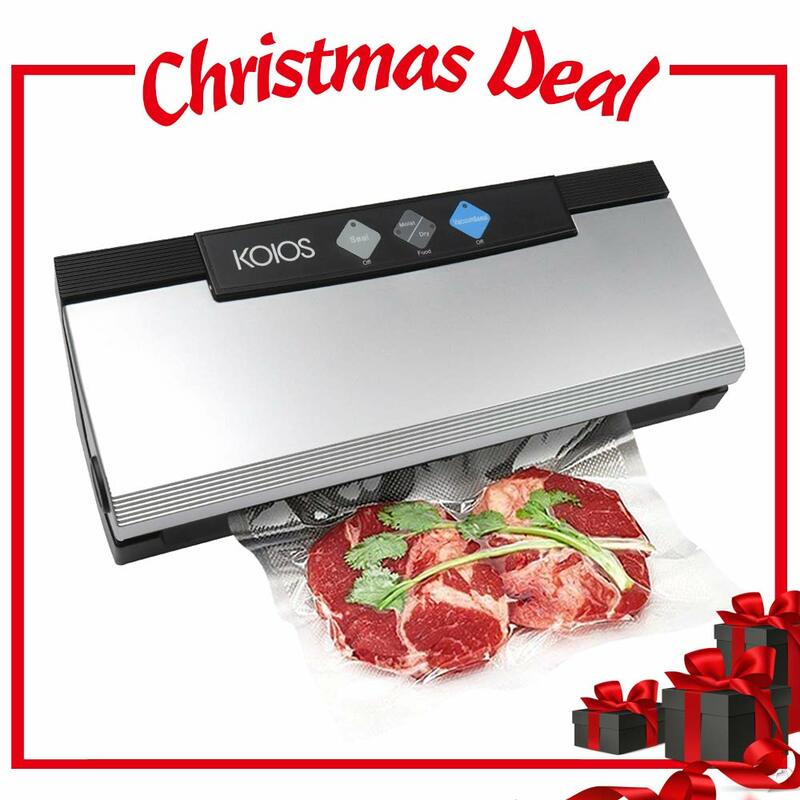 KOIOS Vacuum Sealer Bags ASIN: B075KKWFYN. 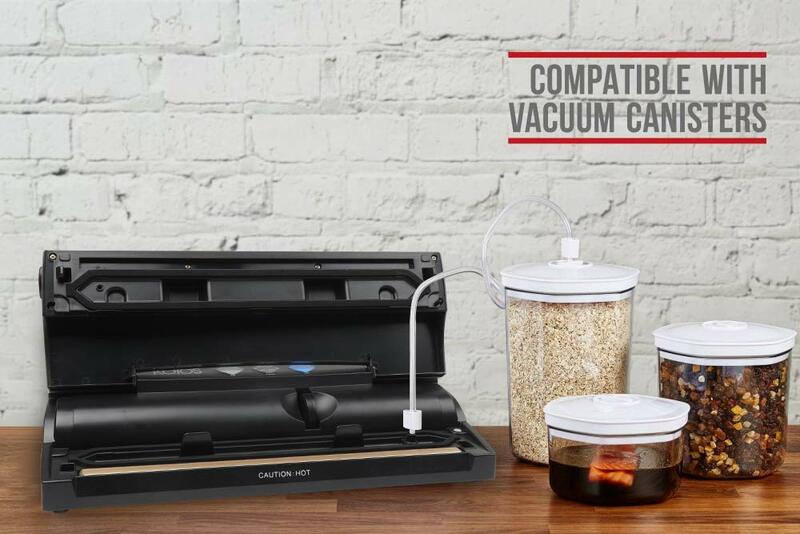 We have a 2-year-warranty and worldwide customer service within 24 hours. 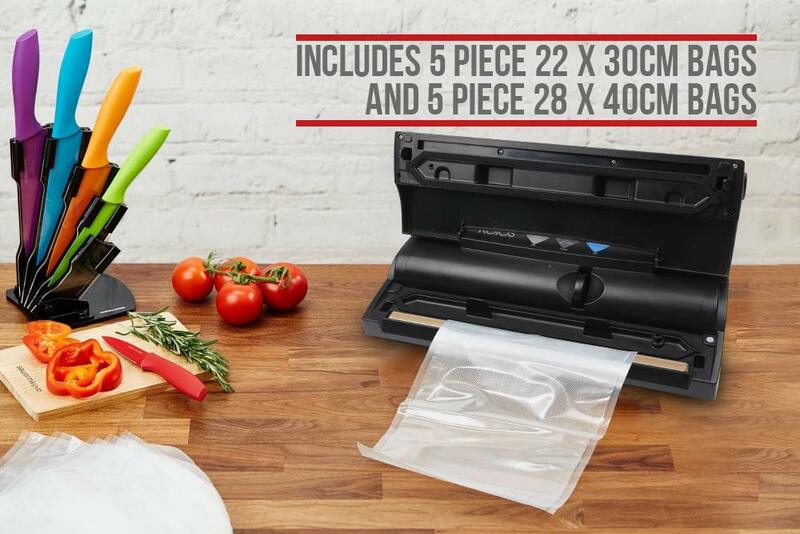 And there will be a replacement sealing sponge, 10 special bags and a pumping pipe in the original package.